The "What" and "How" of Army Network - The Americans .US! Leaders of new cross-functional team, PEO C3T discuss how they’re working to shape a future vision of the Army’s network. The Army is committed to delivering a tactical network that will guarantee preparedness and victory over any adversary, but ensuring that success requires significant institutional and cultural change in how the Army modernizes the network. At the forefront of this effort is Maj. Gen. Peter A. Gallagher, director of the new Network Cross-Functional Team, one of eight established by the Army to pursue its six modernization priorities: network communications; long-range precision fires; next-generation combat vehicles; future vertical lift; integrated air and missile defense; and Soldier lethality. 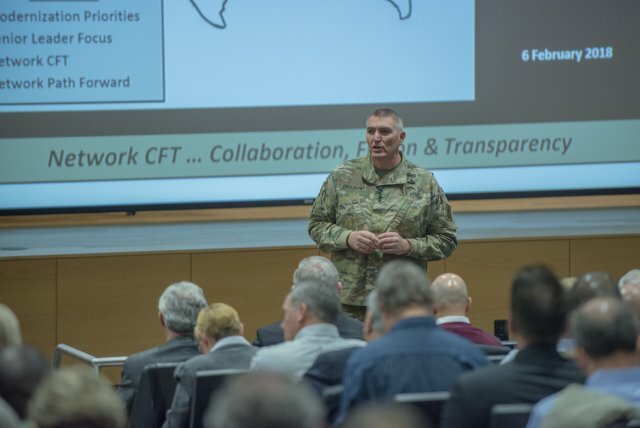 Under his leadership, the cross-functional team is shaping the future vision of the network, in accordance with the four lines of effort within the Army’s network modernization strategy. 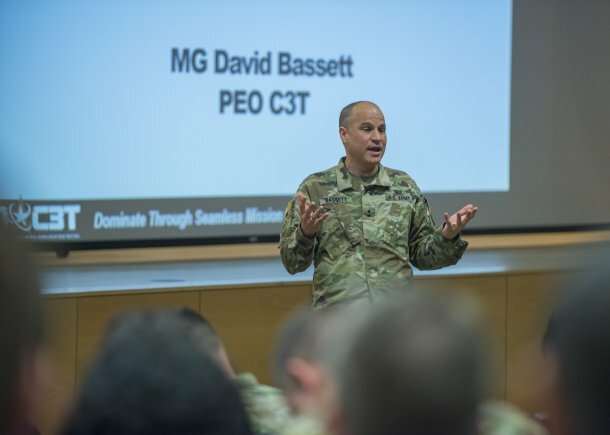 Tasked with turning that vision into a reality is the Program Executive Office for Command, Control and Communications – Tactical (PEO C3T), under the leadership of Maj. Gen. David G. Bassett. This dynamic partnership is leveraging experimentation, prototyping and real-time Soldier feedback to acquire and field capabilities that will keep pace with emerging threats and prepare the Army to fight and win. Gallagher: For the Army, it’s an institutional change at the highest level, and it’s bigger than the network. 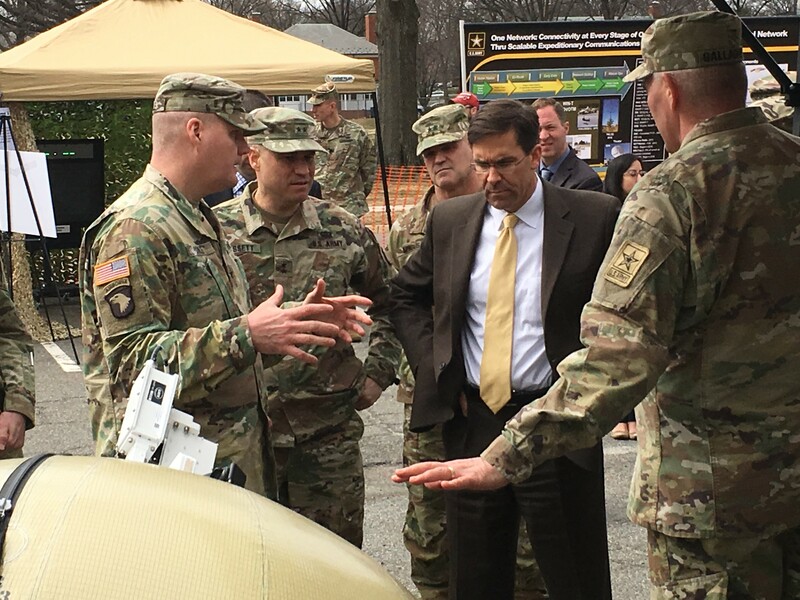 The whole construct of the Army developing cross-functional teams to execute the top modernization priorities to help our warfighting capability is significant. This construct is different because the general officers and SESes [Senior Executive Service members] leading the teams have a direct report to the undersecretary of the Army and the vice chief of staff of the Army. These modernization priorities have been determined by the secretary of the Army and the chief of staff, who in turn have established and empowered the cross-functional teams to execute them. The difference here is that, on one team, you have experts from across the Army who are narrowly focused on delivering capabilities to meet the needs of the Army quickly. Inside the assistant secretary of the Army for acquisition, logistics and technology [ASA(ALT)] community, we are working with PEO C3T and PEO Soldier, which gives us the acquisition expertise we need along with the ability to deliver agile acquisition with focused integration and disciplined innovation. We are a team of experts, from not only the acquisition community, that has come together to represent the Army’s interests, and it’s the focus of that collective team working across the Army to execute these priorities that makes [this construct] pretty powerful. Lynch: What is the PEO’s role within the cross-functional team? Bassett: The cross-functional team is driving what the network is going to be in the future. As Maj. Gen. Gallagher and the cross-functional team define what that future looks like, it is the PEO’s responsibility to execute the “how” so that we are able to deliver those capabilities in an enduring way across the Army. We bring the structure, workforce and expertise that allow good ideas and experimentation to turn into enduring capabilities. Lynch: How do you intend to streamline the requirements process to further innovation and to infuse industry technology into the Army’s network design? In many cases, it’s because we tend to overspecify our requirements in a way that ends up boxing us in. As a result, the acquisition community delivers to a specified set of technical requirements, but the capability is not truly meeting the needs of our warfighters. Instead, what we are trying to do now is anchor our requirements on the first principles of preparing for and fighting in war. We need to determine what characteristics and standard requirements will help us operationally, and not specify and direct the technical requirements. Gallagher: We’ve been experimenting at a battalion-size formation, but moving forward, we want to assess the scalability of these capabilities to take it beyond an infantry battalion by looking at other types of maneuver formations such as the Stryker brigades and armored brigades. Our experimentation and demonstration thus far have been focused on simplifying the network and making it more usable in a fast-paced, mobile, scalable operation. We are currently examining how we can manage the boundaries within our secure network to give us more flexibility at the tactical edge. We’re also looking at advanced networking waveforms, which will allow us to conduct a mobile ad hoc network for our battalion formations that will operate in a variety of situations. Additionally, we’re experimenting with radio gateway devices, small aperture satellite capabilities and access to airborne tactical data links. 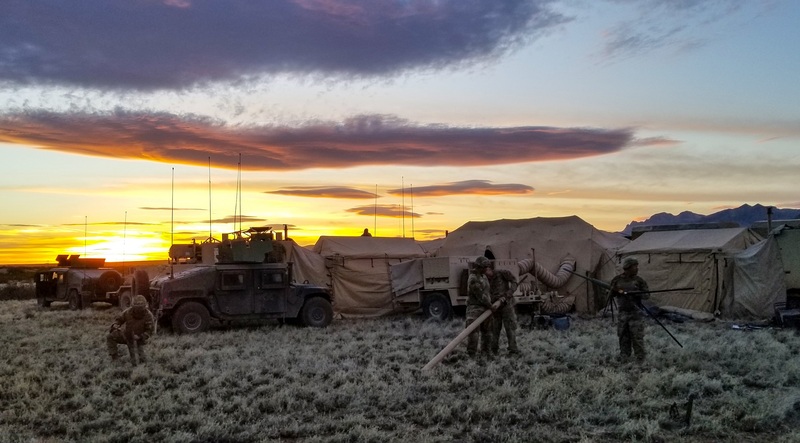 Our goal is to create an ecosystem that will help our joint and coalition interoperability at the lowest tactical edge, while also experimenting with capabilities that will simplify our network. We need to make warfighting more capable to execute through simpler systems that allow the users to be connected. Bassett: One of the biggest changes now that we have this early and aggressive experimentation, with Soldiers involved in the process, is that we’re able to get feedback on the applicability of technical solutions before we settle on a formal requirement. We’re starting with an idea of a capability we’d like to deliver, or a technology that the cross-functional team has identified as particularly applicable, rather than solidifying a requirement up front. In the past, we’ve written formal requirements only to discover a few years later that they couldn’t be used within the formation the way we envisioned. Gallagher: First and foremost, we had to learn and understand what the S&T community was actually working on across the Army. There’s an incredible amount of innovation taking place on multiple fronts within the S&T community. Initially, it was about information gathering to discover who is doing what in the network space. From there, we began working with [the U.S. Army] Communications-Electronics Research, Development and Engineering Center and [the U.S. Army] Research, Development and Engineering Command in order to focus their efforts on modernization priorities aligned to the Army’s four network modernization lines of effort. As an example, the first line of effort is to create a unified network transport that ensures connectivity in a contested environment against a peer adversary. Much of our cross-functional team efforts to date have been focused on that priority. If there’s a peer adversary with advanced electronic warfare capability or advanced cyber capability, it presents us with a threat to challenge us in a network environment, so we need to make sure we’re leveraging the Army S&T community to help address that threat. As we look at focusing efforts within the S&T community, one of the biggest things we need to pay particular attention on is moving beyond the stages of studying and analyzing so that we can execute the delivery of capabilities. We are working diligently with the S&T community and our PEO partners to ensure that there is a transition plan, so the efforts we’re working on will ultimately lead to either improving our existing programs or helping us to develop new programs to capitalize on these efforts. Gallagher: One of the most powerful things we’ve done so far was back in February, when the Network Cross-Functional Team and PEO C3T conducted an industry technical exchange forum at Aberdeen Proving Ground [in Maryland]. We brought in 576 members of industry from about 204 different companies, many of which were not your traditional defense contractors. Of those, about 87 were small businesses. The event was a focused industry exchange on assured network transport, in which we were able to discuss with industry our focus areas and challenges we’re facing with the network. It was a spirited dialogue with a wealth of good feedback, and we intend to conduct additional tech exchange meetings across the four lines of effort of the network modernization strategy. Bassett: By working together as we approach industry, we’ve been able to take one good idea or proprietary product and show how it fits and could be integrated into a unified network. It’s not enough to have a good technology. We must show how that technology can be applied within the tactical space to provide an even greater capability. It must be applied in a way that keeps many of those attributes in mind that Maj. Gen. Gallagher talked about earlier: How can we bring it without adding complexity to the user? How can we provide it without adding contract or logistics support on the battlefield? How can we provide it in a way that adds capability without adding a burden to the Soldiers that are employing it? How can we avoid increasing the training burden that Soldiers have to go through to install, operate and maintain that network? By working together to answer those questions, we will be able to determine a set of good capabilities that we want to experiment with and eventually field to our Soldiers. Gallagher: Together, we are working toward a common solution, and we are speaking with one voice on behalf of the Army. We’re not working around the acquisition community, but by, with and through them. It’s important for industry to see that unity of effort from the Army and senior leaders as we continue our relationship with industry. For more information, go to the PEO C3T website.